There’s a lot to consider as a company’s social media manager. Although the impact of social media is still relatively new in the world of technology and, therefore, still a source of study, the effects of social media on people and businesses are very real. Not only must you be aware of the potential impact of social media on your business’ brand and image, you must also consider the far-reaching impact you can have through your posts as an influential company, no matter what means you go through. Like with any other form of media, it’s important to maintain guidelines for posting in order to avoid compromising your company’s ethics and potentially alienating customers. Ethics can be a complicated subject as there are a lot of areas to be conscious of when your stance as a company is to maximize success while minimizing harm. To ensure that you abide by a code of ethics when posting on social media, your company ethos should be clearly written and displayed for all to see — this is often done in the “about” section of a company website. Once you know exactly what your company wants to represent and what it doesn’t, you can find and develop content that represents your business and engages your audience. Although being politically correct shouldn’t seem like work, going out of your way to ensure any terms being used are not considered offensive and are not misused is a necessary step when posting on social media. Businesses are often criticized for appropriating cultures and language in an attempt to engage a different audience, a situation that can be avoided when companies take the time to be receptive to feedback and hire people from different backgrounds with an understanding of social constructs. Proper blogging etiquette can get a little niche, but there are some general blogging ethics that aren’t too difficult to follow as they are pretty basic rules. The first one is taught in elementary school — don’t plagiarize other people’s work; either create your own content or cite your sources clearly. When memes and posts go viral, it can be easy to take them and modify them for your own social media post, and while this is not a bad strategy, you should give credit where it’s due. Another rule is to be as accurate as possible, which is important in order to maintain credibility as an organization; if you’re reporting news or studies, do so without blowing information and statistics out of proportion to make a point. By following these guidelines, you’ll avoid speculation for bad business practices and steer away from any controversy. Taking a stand on some controversial topics can actually help your business, but unless you are totally confident about where you and your company stand and how you will handle any potential backlash, remaining politically neutral is the safer option. However, as long as your company ethos revolve around respecting people of any and all backgrounds, your social media presence should not come into any problems. That being said, companies have, at times, suffered backlash for posts that were caused by hackers. Social media accounts often fall victim to cyber hackers, especially if they haven’t taken the necessary steps to protect themselves. Cybercrime is a new criminal act to which the monitoring and consequences have not yet been entirely fleshed out, which makes it difficult to know how to handle. However, as this style of crime rises, more rules and regulations will surface. In the United States, 73 percent of people have been the victim of cyber crime. Clients and customers have expectations of the businesses they associate with, and a basic one is to have their privacy respected. If you don’t take preventative measures to secure the information of your customers and your email list is stolen, customers may lose trust in your business. For this reason, even if your business is solely online, you should invest in business insurance to protect you and your customers from cyber criminals. Data breaches can cost thousands of dollars in direct and indirect costs, and business insurance can help protect your business from the financial setback of a hacking. 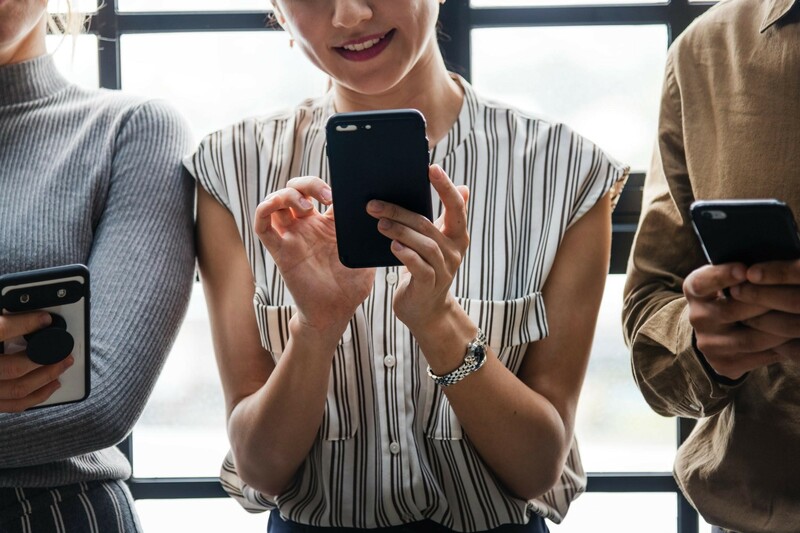 Companies that manage their social media poorly can easily fall victim to a PR nightmare, which is why it’s crucial to be aware of all the factors of cyber ethics. This means not only doing due diligence to avoid plagiarism and copyright issues, but also using social listening to ensure your posts are tasteful and do no harm. Doing no harm also means protecting your business and customers from danger that can occur online when information is stolen. Guidelines for cyber ethics are still being developed but as long as you’re maintaining good business practices, your company’s social media presence and influence should be positive. Avery Phillips is a unicorn of a human being who loves all things related to people and their entrepreneurial spirits. Comment down below or connect with her on Twitter.